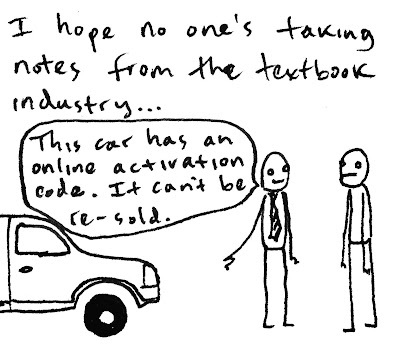 I'm almost awestruck at how some textbook publishers have figured out how to profit even more off of students by making the actual textbook worthless. 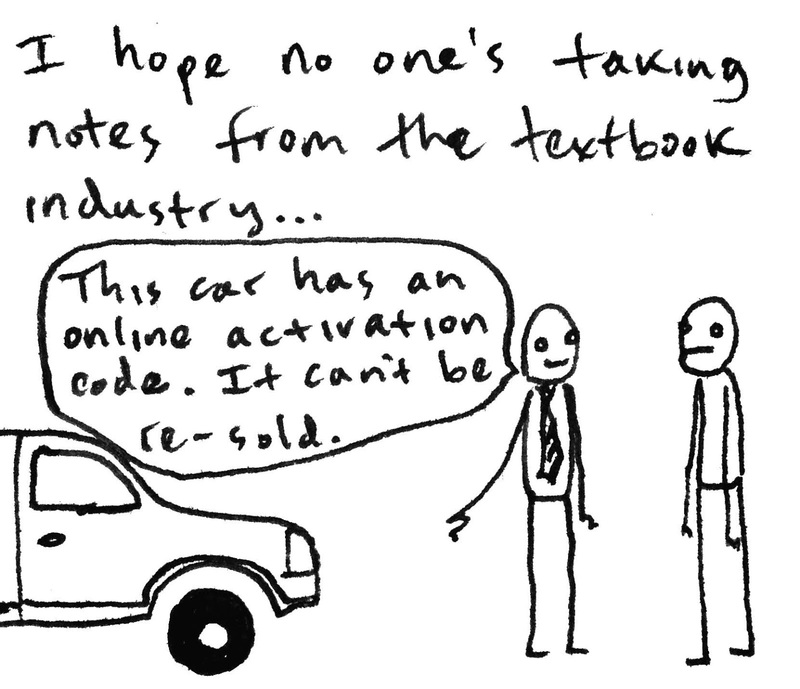 The idea of a single-use, online account that comes with the textbook and can't be re-sold is amazingly fiendish; you can buy a used copy for cheap, but you still have to pay upwards of $100 just to get that code. I hope whoever thought that up gets a luxury suite in hell.